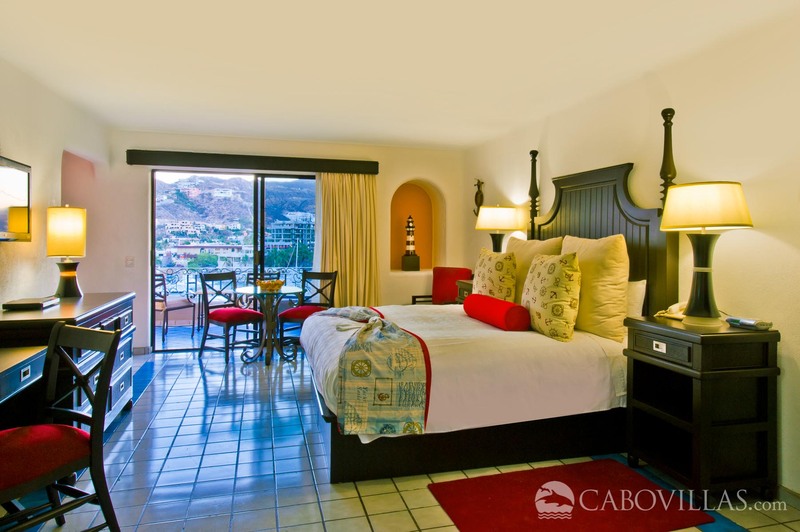 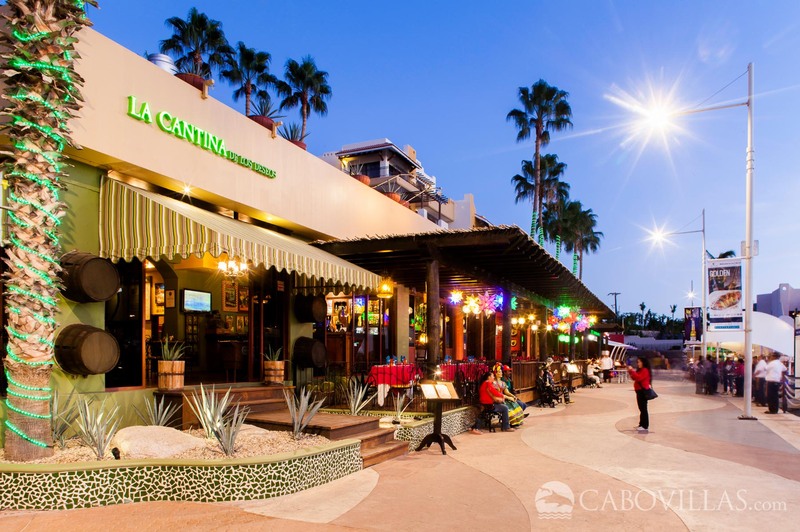 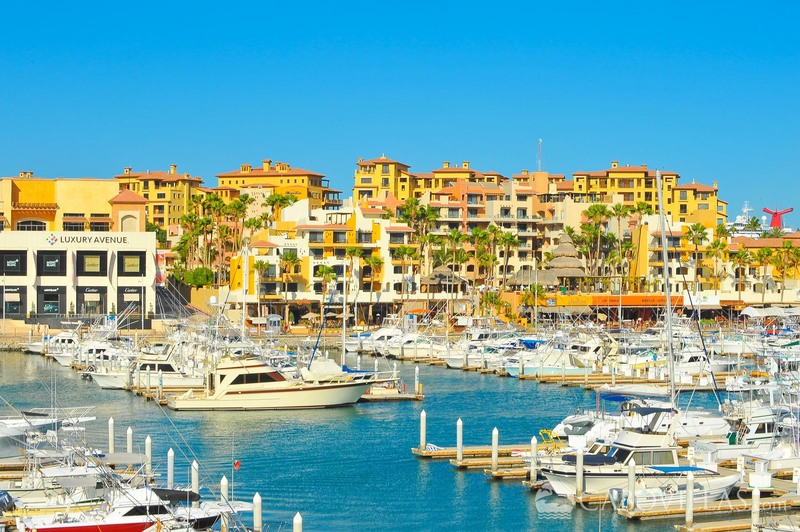 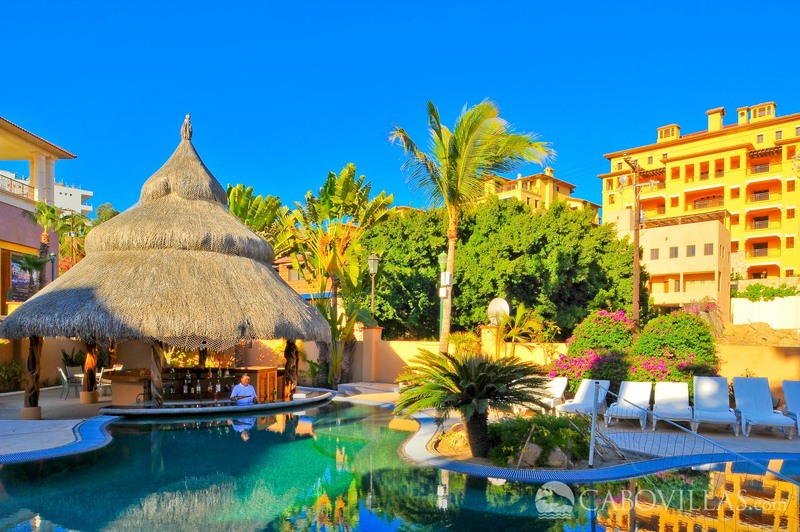 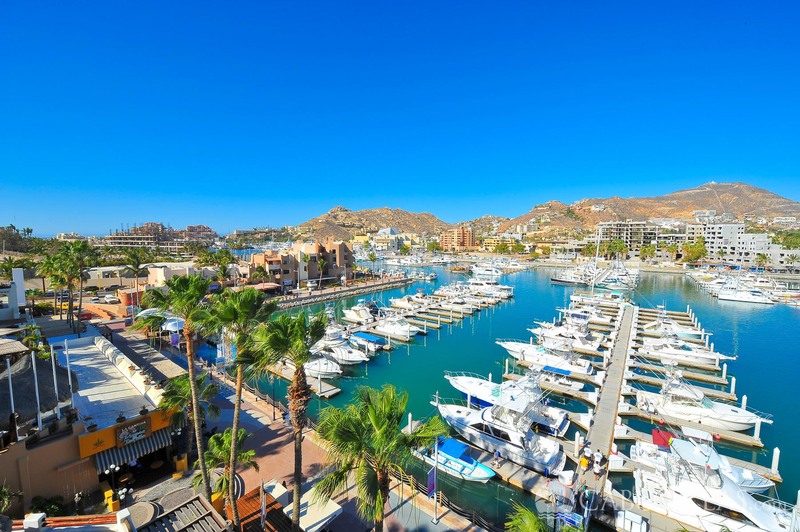 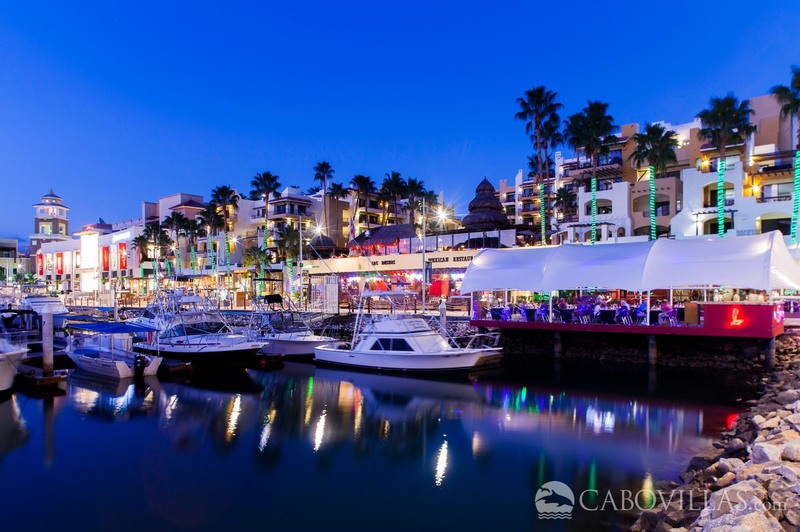 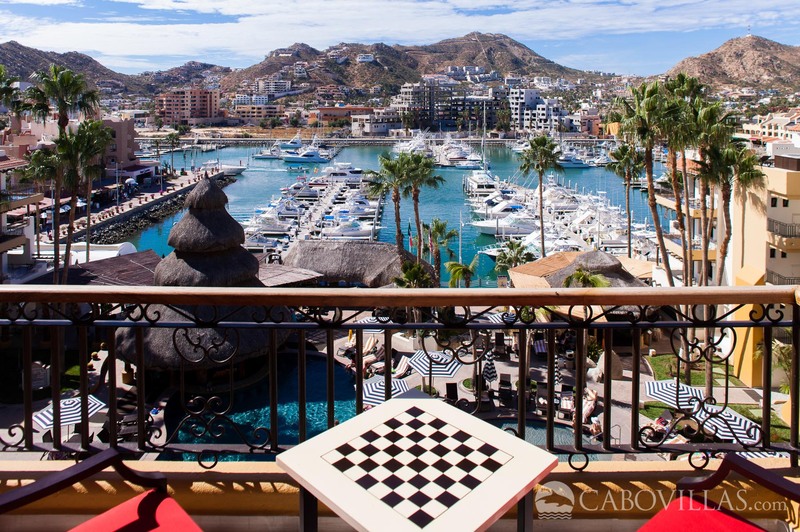 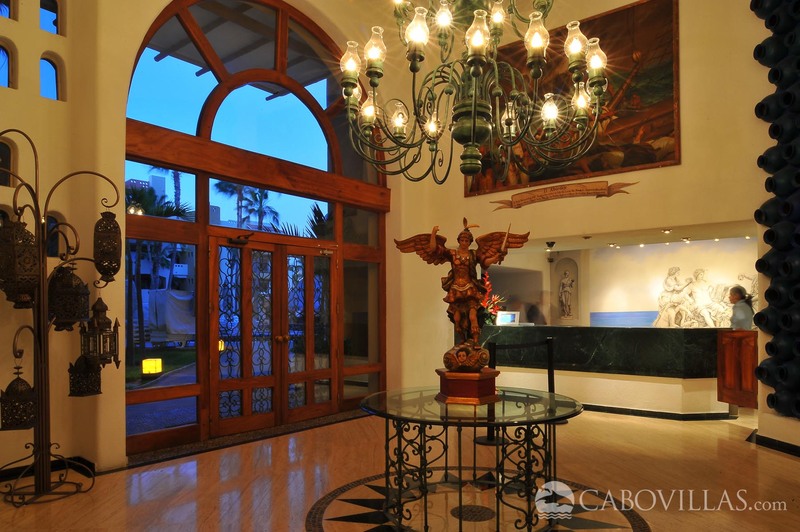 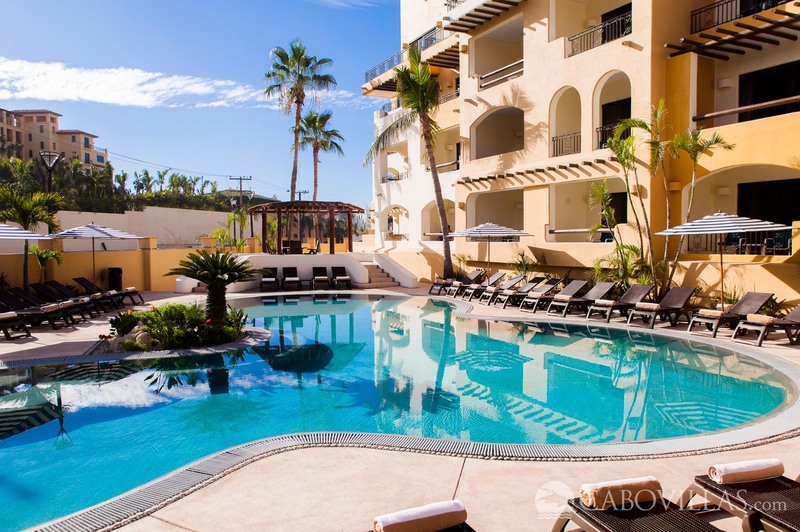 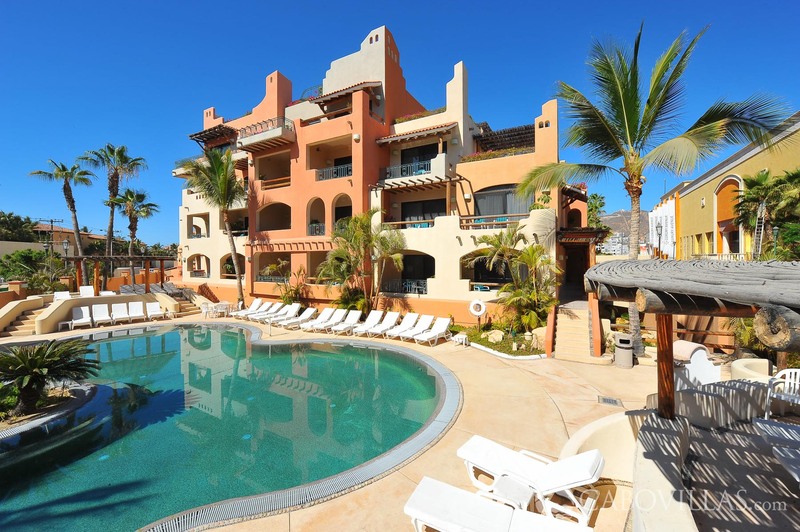 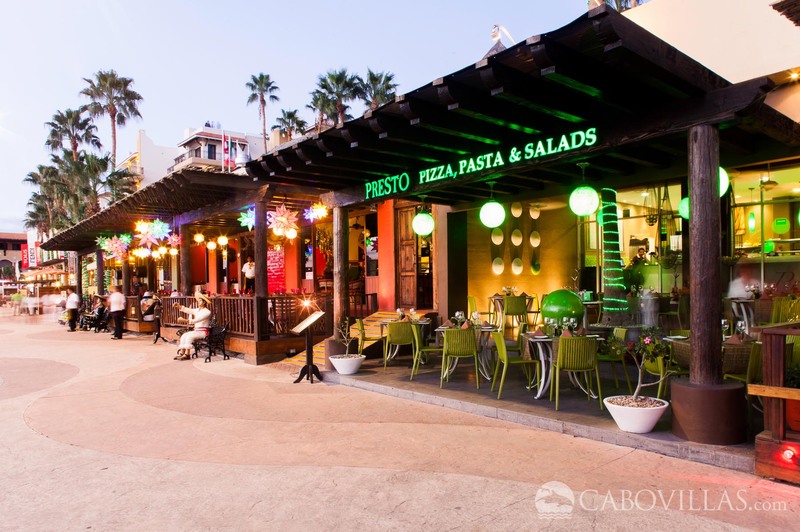 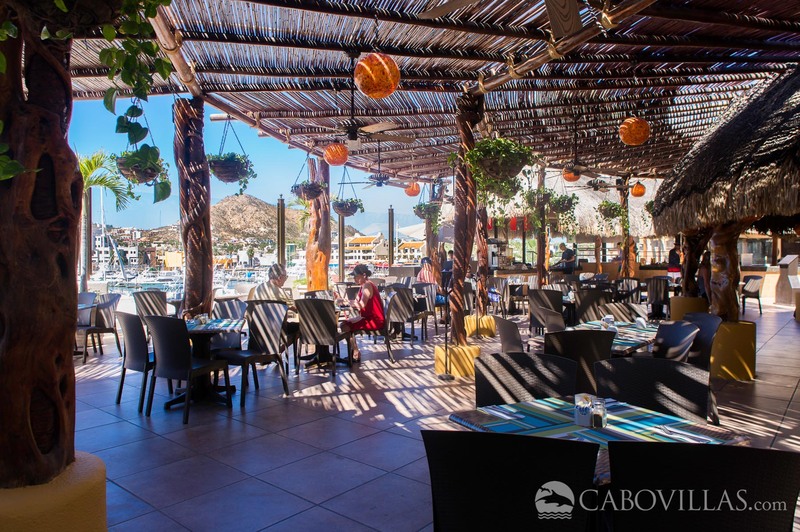 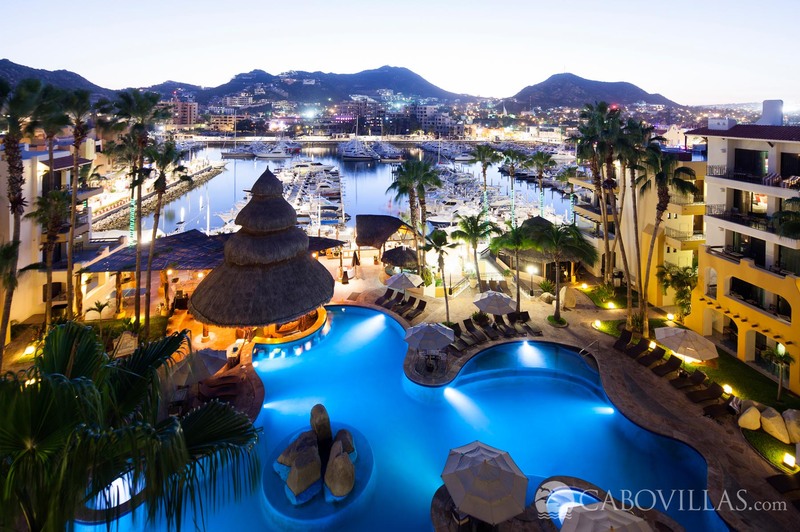 The heart of the Golden Zone area of the Cabo San Lucas Marina, the elegant Marina Fiesta Resort & Spa boasts hacienda-style architecture with nautical decor, spacious accommodations and a premier waterfront location steps to fishing charters, downtown nightlife and shopping. 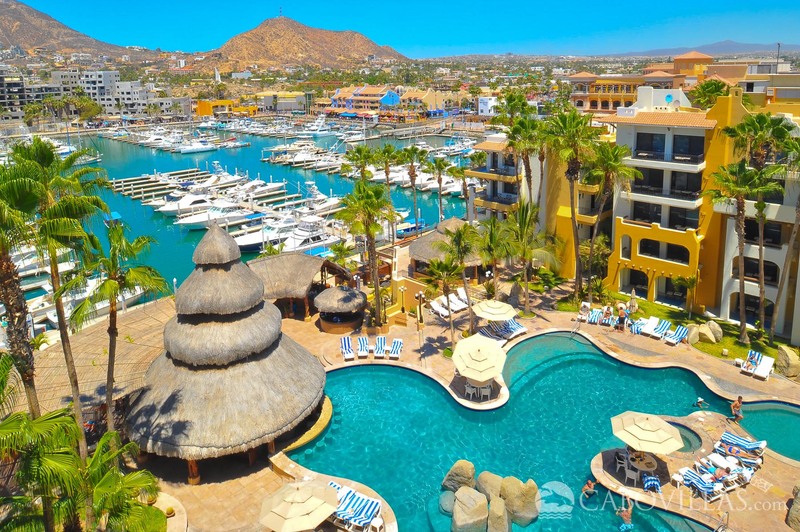 Blending wonderful hospitality and casual luxury, this resort features graciously furnished suites with kitchenettes, tasteful nautical décor, private balconies and satellite television. 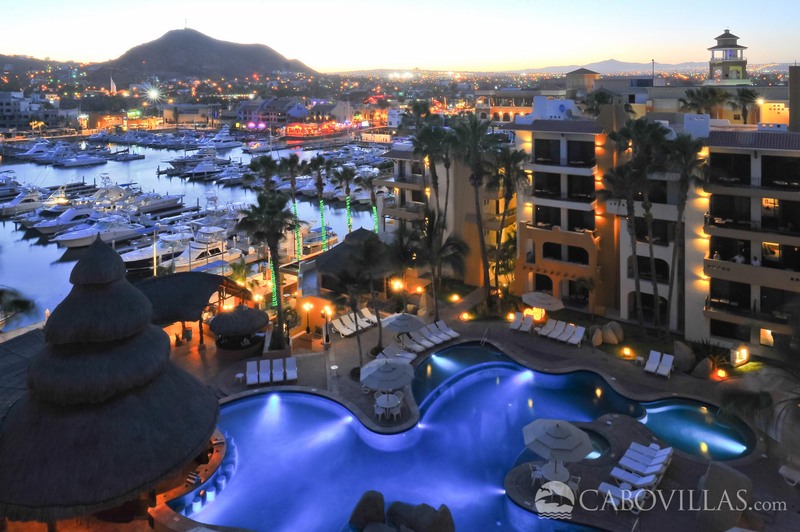 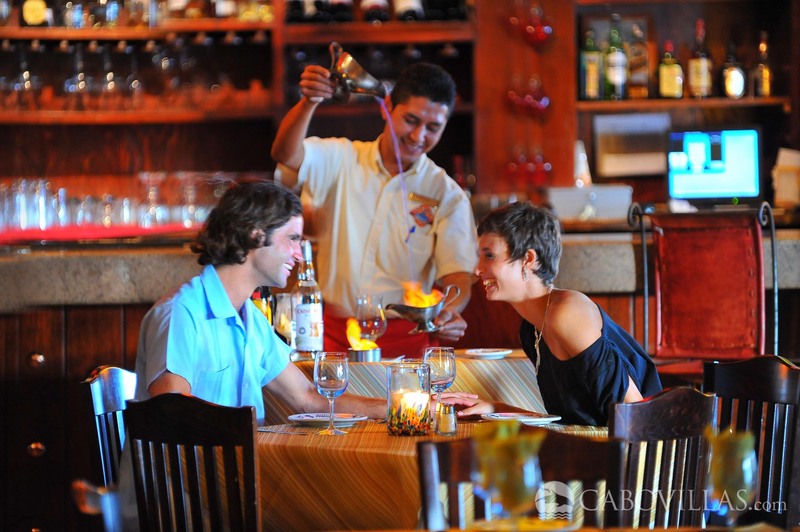 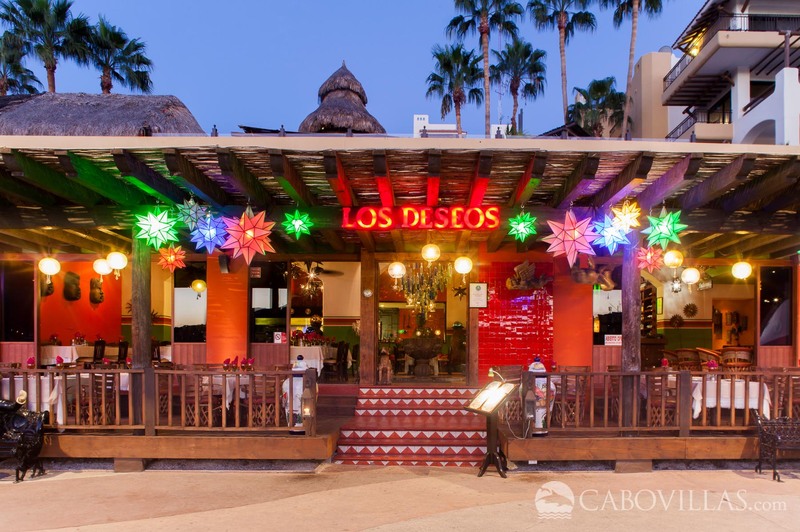 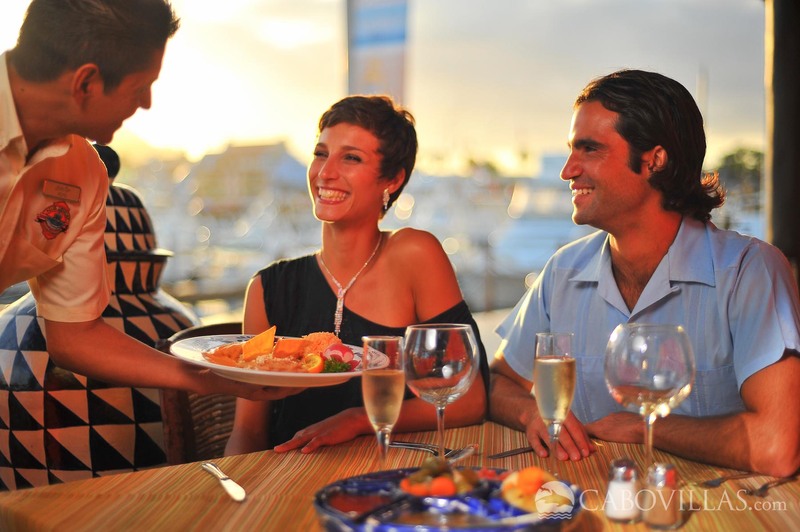 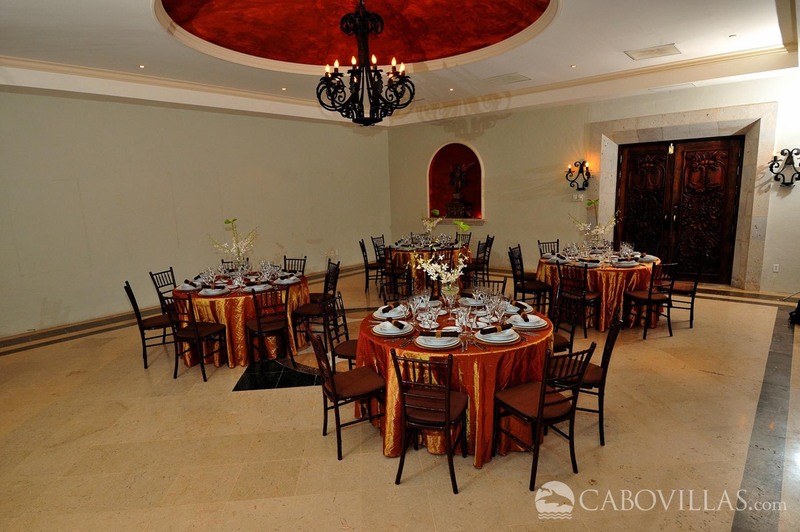 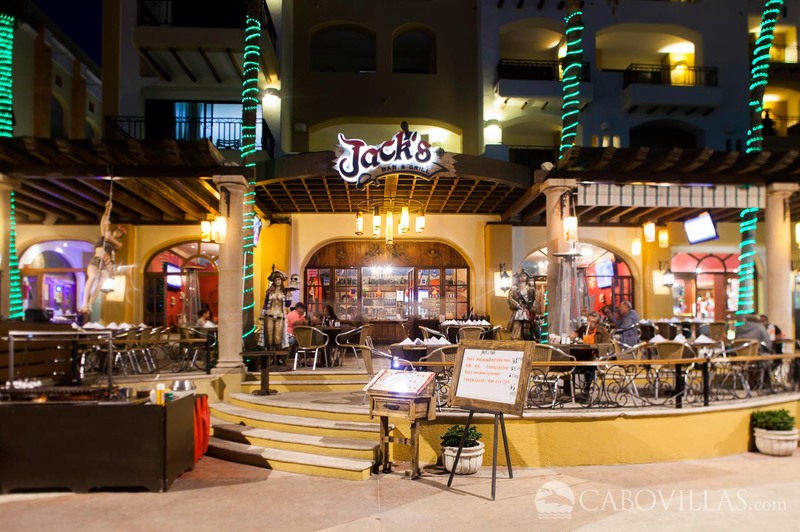 You’ll find plenty of ways to enjoy yourself right on the premises, which includes a dramatic pool area, four dining establishments (with cuisine ranging from Mexican classics to steakhouse fare), boutiques and a tequila museum. 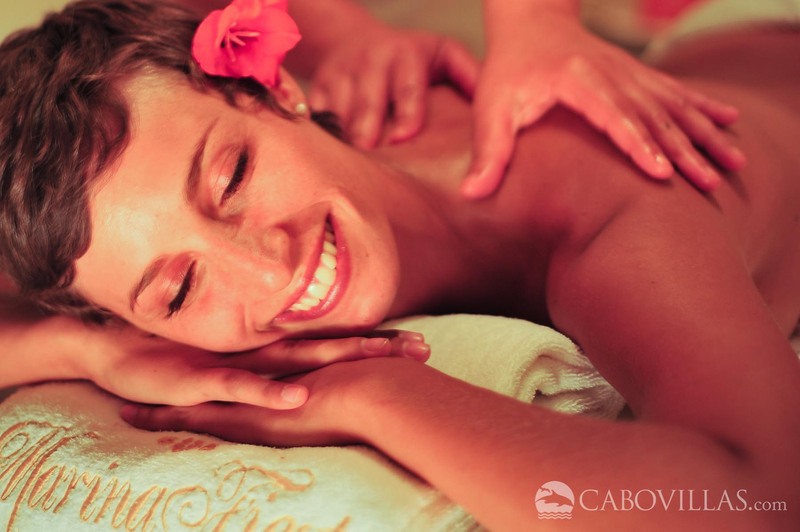 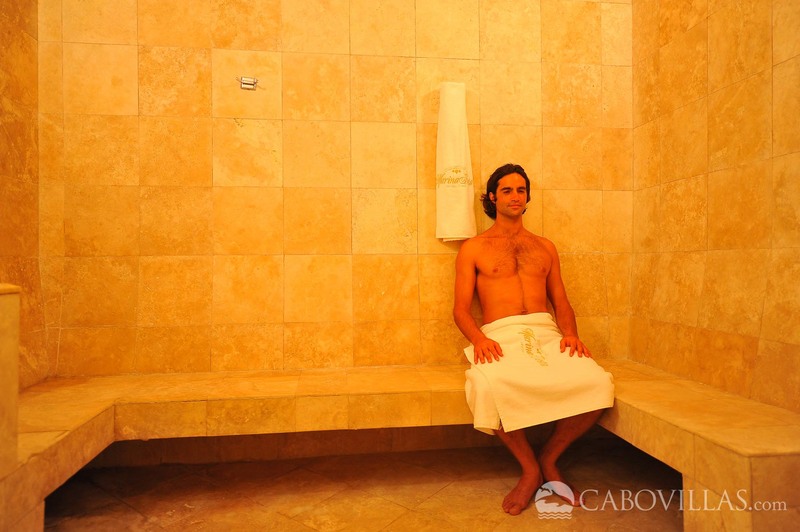 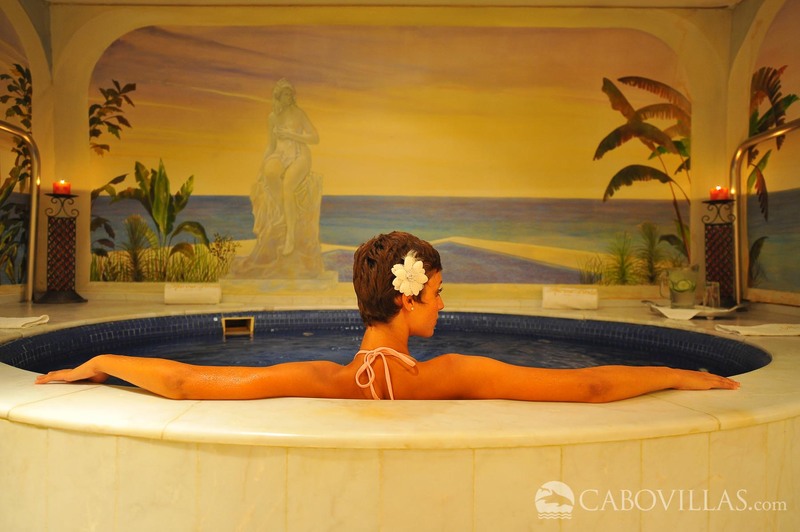 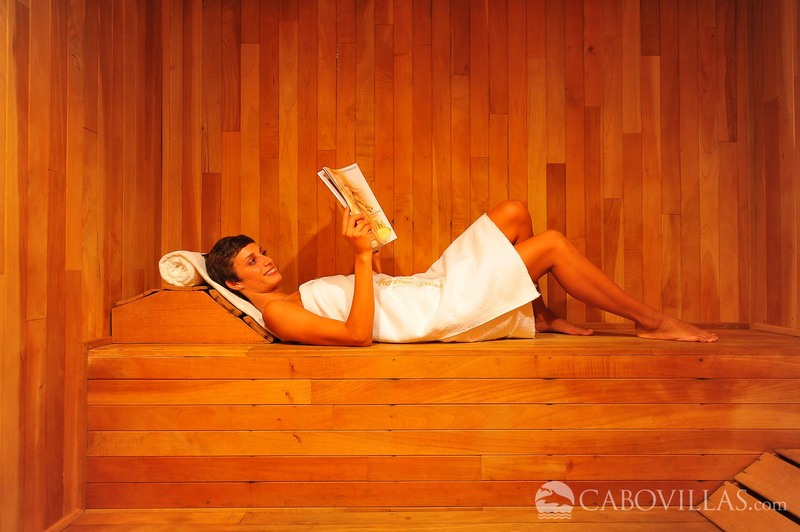 Guests will also enjoy the tranquil spa, offering therapeutic body treatments and soothing massages, as well as the resort’s complete fitness center featuring world-class equipment. 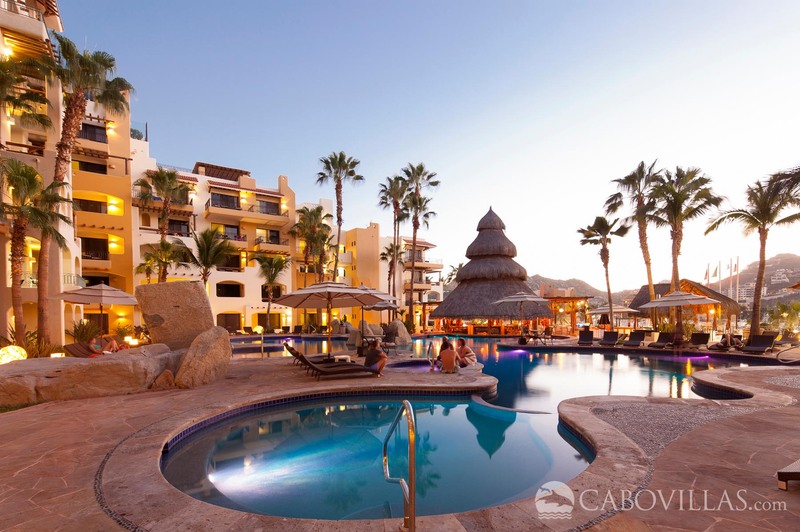 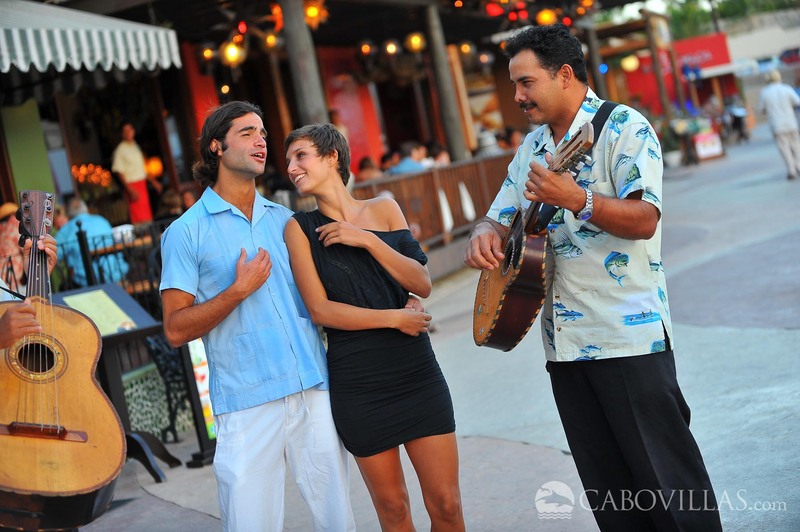 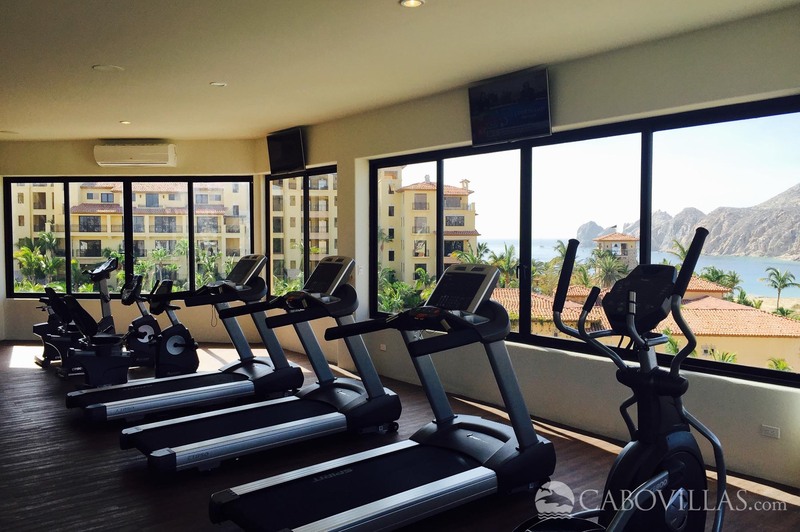 And all the activities that have made Cabo San Lucas famous—sport fishing, scuba diving, swimming, sunning, and snorkeling—are ready for you. 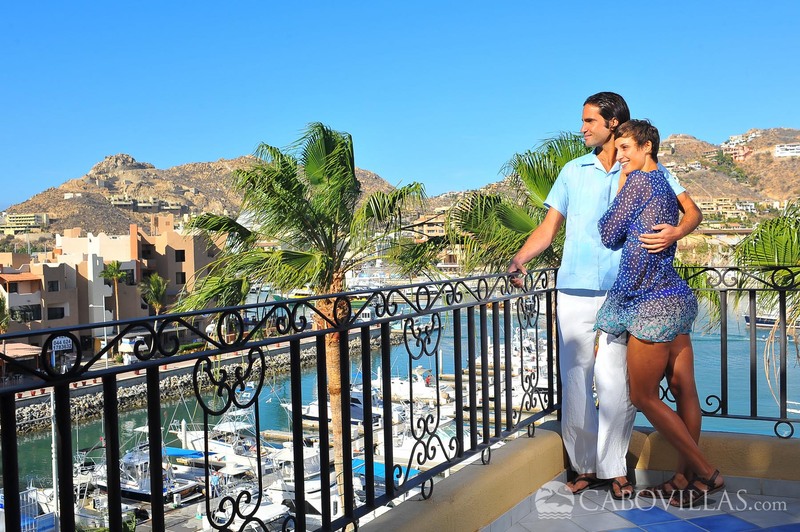 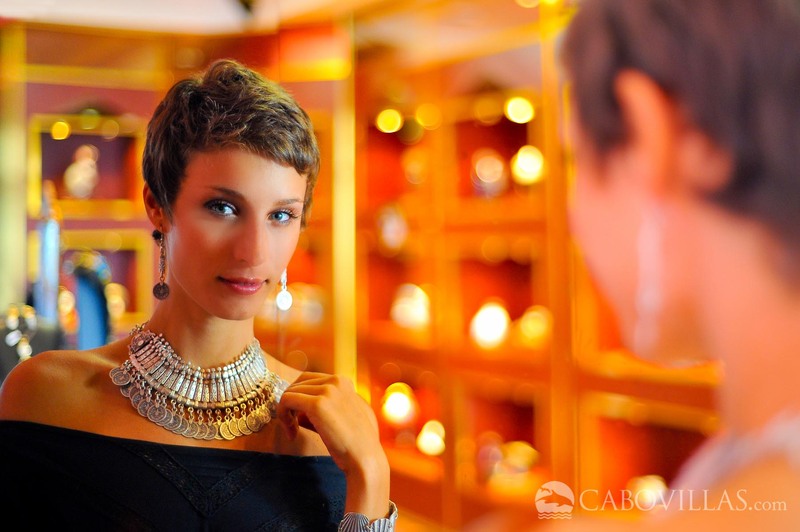 Located right on the beautiful Marina, you’re close to it all at this lovely resort. 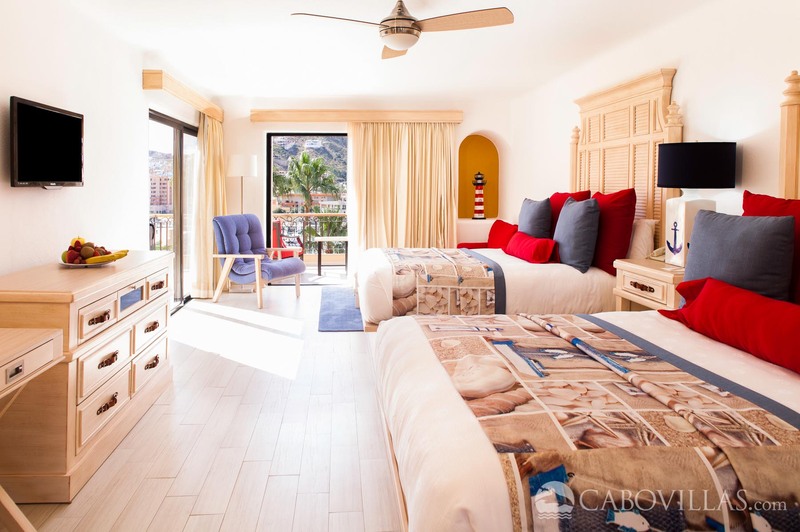 • Nautical Junior Suite: Featuring one King bed with sofa bed or 2 Queen beds, sitting and dining area, kitchenette and balcony with marina or pool view. 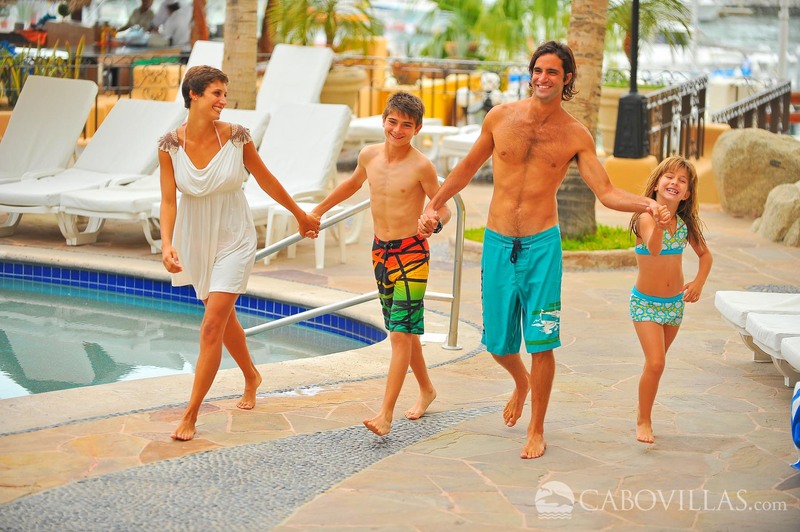 2 Adults & 2 Children or 3 Adults Maximum. 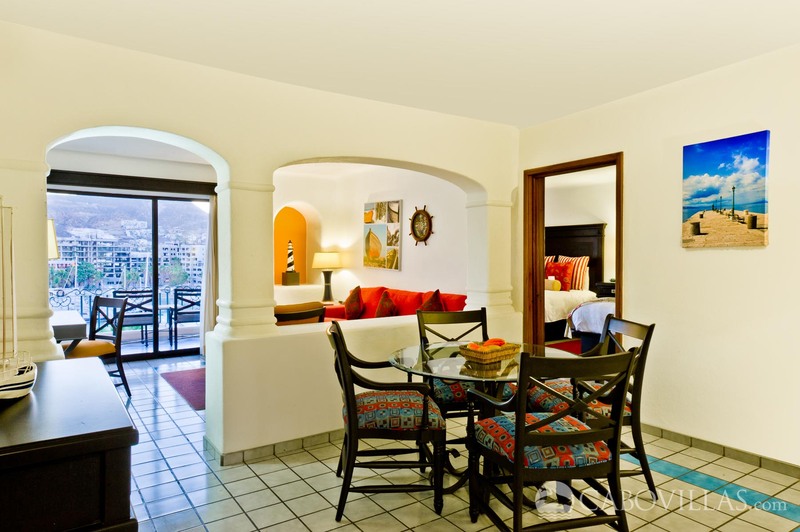 • Grand Luxe Suite: Top notch renovated premium suite featuring a King bed or 2 Queen beds with sofa bed, sitting and dining area, kitchenette and balcony with marina or pool view. 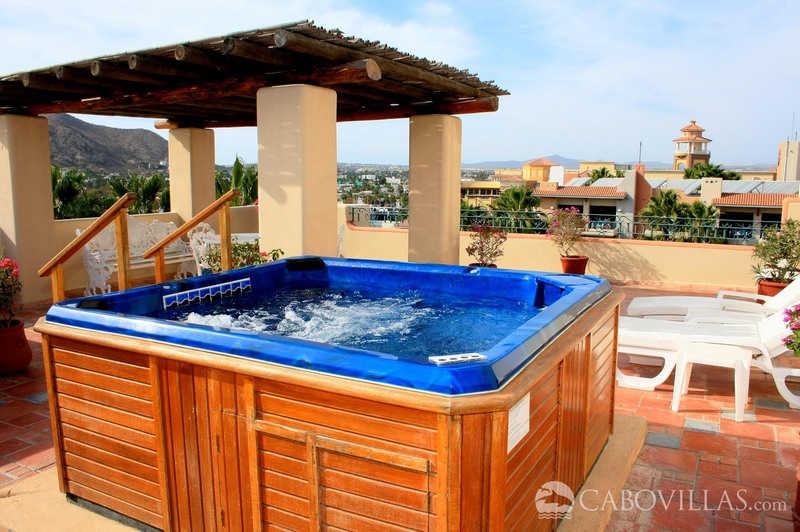 2 Adults & 2 Children or 3 Adults Maximum. 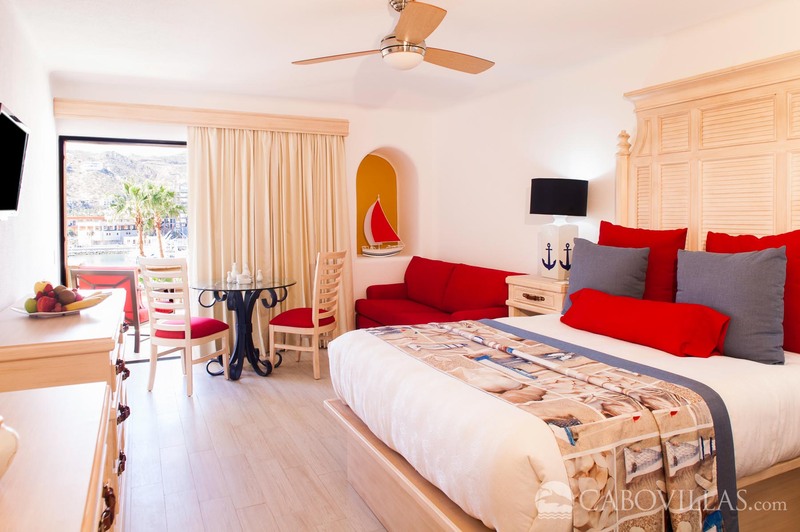 • Nautical One Bedroom Suite: Featuring 2 Queen beds & bathroom in the Master Bedroom, connecting to a living room with a double sofa bed, bathroom, dining area, full kitchen and a balcony with marina or pool view. 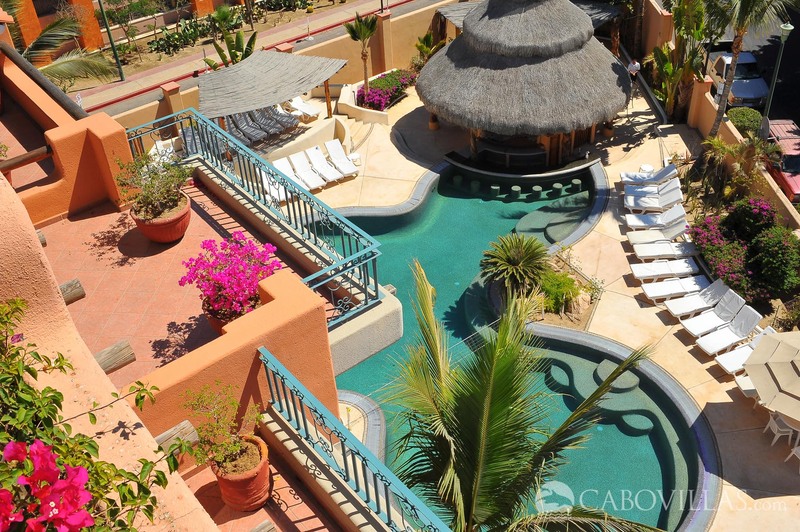 2 Adults & 2 Children or 4 Adults Maximum. 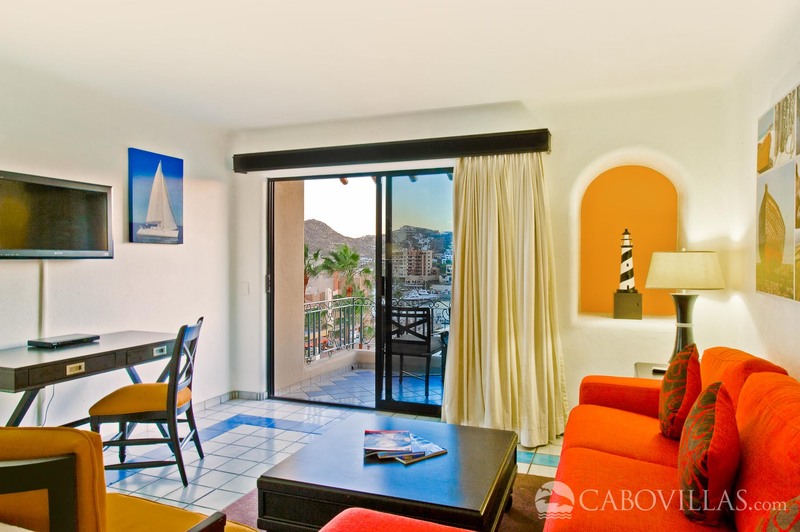 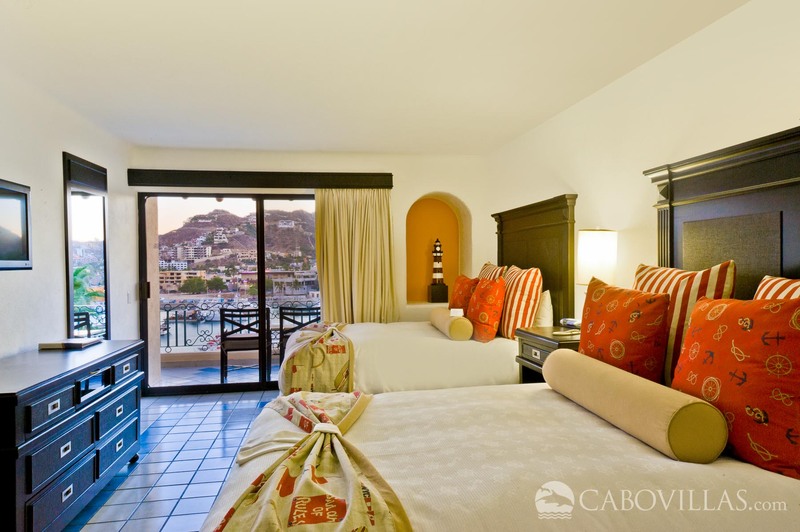 • Nautical Two Bedroom Suite: This spacious Family Suite offers two connecting bedrooms, featuring a King bed in one bedroom and 2 Queen beds in the second bedroom, sitting and dining area, kitchenette and a balcony with marina or pool view. 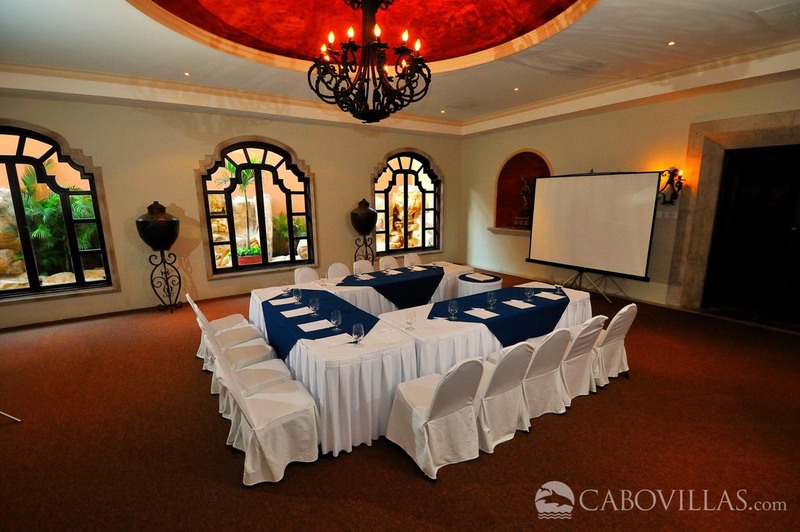 4 Adults & 2 Children or 5 Adults Maximum.